It’s no secret. I have no time for theology. Well – theologians might debate this. I couldn’t possibly comment. As I said, a mug’s game. Trouble is, the theologically inclined sometimes step out of their playpen and start interfering in the real world. Some seem particularly prone to lecturing us about the nature and limitations of science. Of course their motives are oblivious but they should not be allowed to get away with misrepresenting, sometimes even slandering, science, the scientific method and scientists. Stuart, a local theology student, has had a go at lecturing us about the inadequacies of the scientific method in a blog post (see Are logical arguments evidence?). He argues that evidence is not required “for reasonable belief,” that argument in itself can be sufficient evidence, and that “physical evidence doesn’t speak” so different perspectives inevitable lead to different conclusions from the evidence. That is, evidence is unreliable and we must, in the end, rely on argument alone. I guess many Christians would dispute that! He justifies this with “we should know nothing of moral truths, aesthetic values, and meta-physical intuitions. Yet surly we do know that torturing babies is wrong, open graves are macabre, waterfalls are sublime, that the past is objective and other minds do exist.” This is rather a jumble and one could debate each claim. But I think he is arguing by analogy that because some beliefs may be “properly basic” or axiomatic one can justify any old favourite belief by classifying it that way. Come off it. Some philosophers won’t allow you any basic or foundational beliefs – and you want to use this claim just as a matter of convenience?! He then argues that justifications for evidence are “self-referentially incoherent.. . . For no physical evidence is able to reveal that evidence is required for reasonable belief.” These sort of artificial circular arguments are what give theologians and naive philosophers a bad image. They are seen to sit around discussing how many angels they can place on the head of a pin while the rest of humanity gets on with the important business. Maybe a bit obtuse but, I think, very powerful. I interpret that to mean that “knowledge” obtained and developed without contact with reality is of little or no value. To change the world we need an effective method to know, or understand it. This requires contact with the real world. His point was, perhaps, obvious to natural scientists who would have recognised this as an important assertion underlying the scientific revolution. 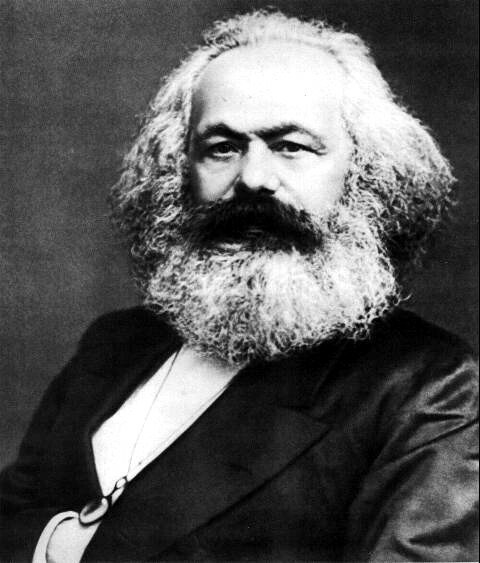 However, while recognising this, Marx’s targets were philosophy, history and social science. The fact is that these basic foundations of science, often considered axiomatic, are tested every day – in practice. We know reality has an internal logic, follows laws, etc., because we would not get the results we do if it didn’t. Similarly we know that basing knowledge on evidence is reliable because it works. We also know that basing knowledge simply on claims of basic belief or isolated logic is often wrong. We know that from experience. Science knows all about mistaken logic and arguments because so many scientific ideas have been proved wrong. This happened because we tested them in practice, attempted to validate them against reality. Argument can be sufficient evidence? It’s understandable that theology and idealist philosophers promote this argument. And within those circles this approach can be very successful – because the resulting ideas and claims are never tested against reality! In the real world, of course, things are never that abstract. Very few arguments or ideas in science are ever completely abstracted from real evidence, from reality. And there is always pressure to test resulting ideas and theory against reality. However, sometimes we have to rely on logic and mathematics to make advances. We may not always be able to test our ideas against reality becuase of technological immaturity or lack of theoretical precision. But in essence we make progress because ideas, logic and argument are intimately connected with, obtain evidence from, and are tested against, reality. Another aspect worth remembering. Reality is largely counter-intuitive. Not surprising considering our intuitions have arisen from our evolution in a “medium sized” world. Most of reality, though, is far smaller or far bigger. It moves more slowly or much faster. Distances are immense or much smaller than we can comprehend. Common sense and classical logic therefore are often inappropriate by themselves. Human interpretation means evidence is not objective? Well, of course, our subjectivity is a problem. We may be an intelligent species but we are not a rational one. More a rationalising one. We go into situations with preconceived ideas. We are selective with our information gathering. It is just human, and in many situations safer, to attempt to reinforce our prejudices. This is a fundamental problem with the “argument is evidence approach.” It’s a great way of reinforcing our prejudices because we are under no obligation to test our ideas or search for objectivity. Of course we can debate with others, provide an opportunity for contrasting views to encourage the development of new ideas. But, let’s face it, we live in communities. Group thinking is natural. And as I said above, common sense argument is not applicable to most fundamental scientific interactions with reality – no matter how honest and objective we try to be. Hence the vital role of objective evidence and testing against reality in science. Reality is what keeps us honest! No matter how beautiful we think our theories are if they cannot be validated against reality, are shown to be wrong by reality, we have to modify or abandon them. Science is also a social process. Colleagues constantly critique our ideas and conclusions. Scientists really thrive on scepticism. We all would just love to be recognised for demonstrating a mistake in widely accepted theories. If our objective evidence or testing is inadequate we soon hear about it. We get forced back into real interaction with reality. This is what is unique about the scientific process and why it is so powerful. This is why scientists can eventually reach consensus about our theories of reality – despite differences in religion, nationality and race. After all, there is only one reality. Contrast this with religion and superstition. Reality is ignored and we see that there are multiple prejudices – and multiple “logical arguments” to justify them. Humanity didn’t make the progress it has by relying on logical argument divorced from reality and practice. This entry was posted in atheism, belief, religion, SciBlogs, science, Science and Society, theology and tagged Add new tag, Christianity, god, philosophy, Rowan Williams, scientific method, theology. Bookmark the permalink. We absolutely do not *know* that torturing babies is wrong, open graves are macabre and (some) waterfalls are sublime. We (mostly) strongly disapprove of torturing babies, are creeped out by open graves and find waterfalls interesting. None of these are statements about the world outside our minds, they are shorthand idioms for the properties of our minds. And we do know that the past is indeed objective and other minds exist, and we know these truths scientifically. The theologians are completely right to claim that science is limited. It limits itself to what is real – not a property that theology has much traffic with. And I think that Marx was rather brave to have made the claim he did. He seems to have forgotten a little thing called the Enlightenment as well as another little thing called Ancient Greek civilization. Philosophers had a fairly big hand in both of those endeavours and they did change the world in fairly significant ways (such as creating modern western civilization). You can’t do much better than Aristotle, Voltaire and Hume if ‘world changing’ is what you’re after. Having said all that, there’s plenty enough philosophers who do waste ink on inane arguments. Most of them seem to believe in a priori knowledge, I’ve found. Just like the theology student you mention. I think you present too strong a case for objective evidence (it sounds a little too much like Naive Empiricism, truth be told; you seem to be arguing for the beliefs arising from observational reports as being something like properly basic beliefs); as you say, many previous scientific theories have been shown to be wrong and yet these same theories were supported by evidence that was taken to be objectively true at the time. Now, we know have an understanding of why that was the case; all observations are based in our theoretical understanding of the world. Our theories of perception, which range from theories of optics to the limitations of human eye-sight and object recognition, ground our human observations of the world and it’s only by understanding these various factors that we can dismiss some observations (“You do not have evidence of a ghostly apparition; you misperceived the world because…”) and be interested in others. Which, of course, is precisely what the History of Science tells us; the Copernican Revolution took near a century because whilst the theory was largely sound it had little in the way of evidential support because the evidence, the observational reports, at the time, was grounded in other incorrect theories about how the world was meant to work. Which is why we have to resist claims that evidence is objective in as strong a sense as you seem to make out in this post. Our evidence (whether that evidence are the observatioal reports of human epistemic agents or results delivered by reliable testing mechanisms) are all based in theory, and unless we know that the theories we have are strong, we can make no claim as to how strong our evidence is (which is why we usually refer to novel predictions and the like to ground the strength of our scientific theories). You also talk about ‘common sense and classical logic’ in the same sentence as if they are closely related. Ask any teacher of logic or critical thinking (or look into the work of Kahneman and Tversky) and you’ll find that our common sense very rarely resembles classical logic. This post needs more references to each religion having dedicated apologists and myriad arguments for the truth of their religion, and a general highlighting of the really *terrible* arguments in favor of each. I just posted a rather lengthy comment on his blog, and quite look forward to his attempts to act as though I am a fool. I know the “I just believe in one less god than you do” line is trite, but it’s too fun a cliché to keep in the cellar. 1: I am not arguing that knowledge derived from evidence are “properly basic beliefs”. Quite the opposite. 2: When I include A and B in a sentence I do so because they are not exactly the same. My use of “and” doesn’t imply equality. 3: I can only conclude that you are defining evidence differently to me. Scientifically evidence is not based in theory, it is based in reality and is therefore objective. Of course, as I point out our prejudices and commitment to a proposed hypothesis may well skew interpretation. That is why validation against reality and the social nature of scientific research is so vital. Sorry Matthew, my last comment escaped mid sentence before I could even check I had spelled your name correctly. Continued 3: Perhaps you are using evidence as something which has come out of interpretation or consideration? 4: I think you have a mechanical understanding of theory in terms of right or wrong. When we say Newtonian mechanics is “wrong” it just means that we have found situations where it doesn’t work (high speeds and intense gravity). We still use if for most things and it works very well. It is “wrong” because we have extended our interest to different situations. But the evidence it is based on is not “wrong” or “incorrect.” It was objective evidence. We now have new objective information. Similarly, I fond your reasons for the time it took for Copernican ideas of the solar system to be accepted rather weird. In what way was the “evidence” grounded in incorrect theories? Just don’t understand that. Acceptance took a while, not least because the Church interfered and banned the theory. But also it required technological developments and their application. Galileo’s telescopic observation of Jupiter’s moons and the phases of Venus provided objective evidence. (And I think the phases of Venus were actually discovered centuries before by the Greek but that knowledge disappeared in the dark ages). 5: I think people use this term “history of science” too glibly to justify all sorts of prejudices. As a scientist this pisses me off. Claims such as you have made need a more detailed justification – and, I believe, refutation. Matthew – you are welcome to “to resist claims that evidence is objective in as strong a sense as you seem to make out in this post.” But please explain. If you are claiming this for science I must disagree strongly as it conflicts completely with my experience. If it is just a misunderstanding and you use the word “evidence” different this needs clearing up. I would like to see your justification. As someone who teaches classes in the Philosophy of Science I certainly don’t think that Newtonian mechanics is wrong in the strong sense you want to describe of me; Newton’s theories are a useful approximation and much easier to teach (in Physics) to the young than the theories that we take Newton’s theories to be reducible to. I still think you’re being a naive empiricist about evidence though. Let me explain (briefly; I’m in the midst of thesis work at the moment and this is a lunchbreak); the initial observations that seemingly falsified the Copernican system (when the theory was first proposed) was evidence (in a strict sense) that the theory could reasonably considered as being false. We now know that a) the initial description of the Copernican system was flawed (circular orbits gave way to elliptical orbits, for example) and b) the observations that were made (in support of the Ptolemaic system) were subsequently invalidated by changes in other theories (i.e. certain assumptions about how far away other stars were had to be made to find evidence of parallax). The evidence that would show the Copernican system to be true (or unfalsified at this time; the problem of induction, of course, raises its ugly head when we want to say that evidence shows a theory to be true) required that we assumed particular theories to be in operation. a tad disturbing. I agree that reality exists and that there will be ontological truths about it (I am a naturalist and a materialist) but the kind of knowledge we have about the world doesn’t necessarily give us epistemic access to these ontological truths; our best theories about the world inform our evidential opinion of the world and our evidential opinions inform what are the best theories about the world (thus the history of scientific theory change). I think there is a good case for atheism, given our understanding of the world but I wouldn’t claim that entails our belief there is no set of gods out there. What we take to be reality is still informed/mediated by our theories of what reality is. We can claim (like I do) that we’ve got really good grounds for thinking our understanding of reality, as shown by the theories of the Natural Sciences, is pretty good, but, as we’ve seen in the past, our fundamental theories of reality might be challenged (think of the huge theoretical difference, which will have an effect upon what we take to be evidence of certain scientific claims, if string theory is finally validated and shown to be incompatible with certain quantum interpretations of the world). I just don’t buy that evidence is merely judged by the way it maps reality; it begs the question because we form our theories of reality on evidence and then use such evidence to justify our theories of reality. What you need is a story that bridges the epistemic gap between the justification of our beliefs and the truth of such beliefs. Also, it’s trite to say “Claims such as you have made need a more detailed justification – and, I believe, refutation” when you are quite willing to commit a strawman argument with respect to Matthew Flanagan’s views and then, when called on it, wouldn’t then justify why that was okay. Thanks for replying, Matthew. I appreciate the opportunity to discuss these issues with you. I think there is an interesting difference in perspective. It won’t be the first time I have disagreed with a philosopher of science. I am currently writing a review on Massimo Pugliucci’s new book – “Nonsense on Stilts”. It’s an important book and my review will be favourable – but I will take issue with some of the ways he expresses things and the positions he comes to. But, then again, I realised many years ago there is no such thing as a uniform philosophy of science – there are different schools. Painfully obvious in the discussions around quantum mechanics at the time. Firstly – I don’t know why you rehash the issue with Matt. My comments were about the tendons in his knees, the way Christians are reacting simply to the word “Dawkins” and the effect this has on increasing the sales of Dawkins’ books (perhaps undeservedly in some cases). They weren’t about the content of his article. I certainly aren’t interested in Matt’s specific arguments (because theology doesn’t interest me) – but if you want to go there?? I find your comments a bit confusing because there seems to be a confusion between models and reality, or “models of reality” and reality. When you say “What we take to be reality is still informed/mediated by our theories of what reality is.” I can only interpret that you are actually ignoring the real, objective existing reality which we may know absolutely nothing about. You are actually talking about a “model of reality”=”What we take to be reality.” Not the same. Surely reality is what exists objectively. Take us out of the picture and its still there. It’s not a model in our mind. However, when we do come up with a model, theory, we do so because of some observation, measurement, etc from objective reality. We don’t need any substantive theory at all to do that. We then just have a set of data or observations to begin playing with. (Of course in practice we may have hypotheses which help us decide what measurements to make). So I disagree with your statement “What we take to be reality is still informed/mediated by our theories of what reality is.” Because we don’t have to take reality to be anything – we just interact with it. Your word “reality” actually appears to refer to a model of reality rather than objective reality itself. Also I can’t understand your statement “I just don’t buy that evidence is merely judged by the way it maps reality”. We are surely not judging evidence (or that is done separately through repetition, statistical vetting, etc.). But when we have a developed theory we map it against reality. We validate it by comparing its predictions with reality. We don’t compare it with “what we take to be reality.” We get our hands dirty. It’s not an armchair exercise. I see this (and I am sure other scientists do too) as an essential part of the scientific process. Interestingly it is this “final” step that ID people usually try to omit. It is not true to say: “we form our theories of reality on evidence and then use such evidence to justify our theories of reality.” That would be a childish mistake. We know validation requires different evidence, new investigation, often new investigators. Perhaps I can clarify my position by saying that I think scientific theories are purely imperfect reflections of objectively existing reality. But they are dynamic. There is a continuous process of collecting new information, of validating new developments of theory, and so on. Consequently we generally find that our theories improve over time. Einsteinian mechanics is “more complete” than Newtonian mechanics but we know its not the end of the road. Its still an imperfect reflection of objectively existing reality. We are continually searching for its limits and areas where it fails. That is why scientists actually enjoy finding things wrong with existing knowledge. We see that as a chance to develop a better theory. To make our name. I really like Asimov’s statement: “The most exhilarating statement in science is not ‘Eureka!’ but ‘Hmm, that’s funny’!” We really do get excited when we realise our theories/hypotheses are wrong because we know we have a chance of discovering something. And that is why science is a continual process of proving things wrongs. That’s how we make progress. I should add, and I think most philosophers of science agree here, that our new knowledge usually includes our old knowledge – almost as limiting cases. Eg Einsteinian mechanics included Newtonian mechanics in limited situations (but most of the situations that interest us). The naive Kuhnian idea of completely abandoning old theories happens relatively infrequently. But it does occasionally happen. So it is actually naive to make the claim that science doesn’t really work because it is continually proving itself wrong or mistaken. 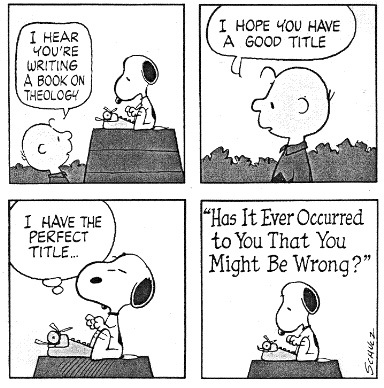 Silly – but I do get that from some of the theologically inclined. Finally, Matthew – when I asked for “more detailed justification” I was not criticising you. Only wishing to continue the discussion. I think we’re largely in agreement on general principles but are going to differ on the matter of what role this thing called “reality” plays in our respective ontologies; I don’t think evidence is anywhere near as objective as you do, and I’m worried about that because I see an awful lot of naive empiricism by both scientists and non-scientists when it comes to their defence of the scientific enterprise. Don’t get me wrong; I am (like Slartibartfast, in “The Hitchhiker’s Guide to the Galaxy,” a great fan of Science, but I also think we need to be aware of its limits so as to not overstate the case). Whilst I don’t buy the Gould line about different magisteria (for example, although I’m a critic of specific theories from evolutionary psychology I think the basic tenet is right; the mind and our psychology is the result of evolution and nothing more (well, culture as well, but that’s a bigger issue)) I do think it’s still quite possible that some new development will come along and wipe out what we thought was one hundred years of scientific progress and possibly show us that we thought reality looked like was merely a flawed description of best fit. If you don’t agree with me about the objectivity of our evidence source you will need to explain why. I personally can concede there are issues such as sensitivity, precision, technological level and so on. But this is not as extreme as thinking in terms of what we “think” reality is. I react strongly to theological attacks on science because I am aware of a leakage. Some of what they promote actually starts to be taken up by other philosophers. That’s why I think their claims need to be challenged. So, could you please justify your claims of “naive empiricism”? Who is guilty of this and what are the cases? As you can guess I get pissed off with these sort of charges which are only unfounded stereotypes. In effect it is defaming honest scientists. If this sort if thing happens let’s identify the guilty party and situation. I personally am not convinced by vague claims on this and the “scientism” charges. I really do think these claims are coming from Ideologically motivated people. But evidence would convince me otherwise. If it exists. I agree we may well have a complete revoltion in science. Many would say we have had a few already. Surely quantum mechanics is so counter intuitive many see it that way. After all we are only really starting on the scientific enterprise. But whatever. Even though our models of reality may radically change I am sure we will rely on evidence from that reality (we don’t need a model if reality for that) and will need to validate our theories against reality. However, I am aware there are some scientists speculating we may have to face a future where validation is impossible for technological reasons. String theory seems to motivate that idea. But even here I think many features of a string theory could well be validated with current technology. I have explained why I’m concerned with the objectivity of evidential claims. These are standard issues in the Philosophy of Science; saying “As you can guess I get pissed off with these sort of charges which are only unfounded stereotypes” isn’t an argument. I don’t care that you get angry about these things; I get angry when people downplay the important role of Philosophy in the understanding and development of the Natural Sciences. It doesn’t matter one iota that we get angry about these things; if people have good reason to think that about our respective disciplines, then we need to deal with their arguments. Anecdotally, I can point to cases of naive empiricism expressed to me by scientists I have dealt with; Vincent Gray, industrial chemist and climate change denier, is a naive empiricist, for example. Also, saying “I really do think these claims are coming from Ideologically motivated people” really doesn’t help. Do you really think that Thomas Kuhn and Imre Lakatos were ideologically motivated in their criticisms of scientific practice, or that Karl Popper had a sinister motivation when he accused some scientists of being naive inductionists? These are all people who have criticised empiricist attitudes expressed by scientists. I’m so enjoying this thread. Ken pops up frequently on theological blogs and denounces any suggestion that science and religion can actually inform each other in the human quest to understand our world and our selves. It’s all about steamrolling the religionists around here, sadly. Ken’s entire critique is based upon an unspoken assumption he expects his readers to share, namely, that science is the only legitimate form of knowledge. To Ken, any deviation from that view is an adulterous contradiction of the sacred scientific vow to exclude any possibility of the spiritual, not just from one’s scientific work, but from the entirety of one’s philosophical world view. With all due respect, that is nonsense. One can indeed embrace science in every respect, and still ask a deeper question, one in which Ken seems to have no interest. Why does science work? Why is the world around us organized in a way that makes itself accessible to our powers of logic and intellect? The true vow of a scientist is to practice honest and open empiricism in every aspect of his scientific work. That vow does not preclude the scientist from stepping back, acknowledging the limitations of scientific knowledge, and asking the deeper questions of why we are here, and if existence has a purpose. Those questions are genuine and important, even if they are not scientific ones, and I believe they are worth answering. To Ken, a person of faith like the Belgian priest Georges Lemaître, could not possibly have been a true scientist because of his faith in a loving and provident God. That would make Father Lemaître, in Ken’s eyes, nothing more than a creationist. Too bad, because as I’m sure he knows, it was Georges Lemaître who provided the first detailed mathematical arguments for cosmic expansion, which today we call the “big bang.” Remarkable how Lemaître rose above his adulterous tendencies, isn’t it? The genuine tragedy of Ken’s argument is the way in which it seeks to enlist science in a frankly ideological crusade—a campaign to purge science of religionists in the name of doctrinal purity. That campaign will surely fail, but it has diverted those of us who cherish science from a far more urgent task, that of defending scientific rationalism from those who, in the name of religion would subvert it beyond all recognition. In that critical struggle, Ken, scientists who are also people of faith are critical allies, and you would do well not to turn them away. I wish scientists would stop wasting their time trying to beat up on the idea of God in the name of science. Thanks for the name Matthew. I think it does illustrate that this is not a real problem. I don’t see Gray as acting a scientist – far from it. he is acting politically. I personally have taken him to task over his unethical behaviour with respect to his condoning attacks on NIWA scientists. It is always worth doing this little exercise as actually considering the names and actions which precipitate the charges usually do make it clear that it is not a real problem. As for backing up my assertion that these attacks come from ideologically motivated sources: This article makes clear that the specific problem identified is from theological sources – linked and named. Currently there are plenty of articles written by theologians or the theologically minded making assertions about science and scientists which to represent attacks. I think they are worth challenging whenever they occur. Stuart – you know I won’t comment on your blog because you have a habit of removing comments you don’t like. I don’t wish to waste time and effort on a comment which could not appear because of this. However, you do seem to be attributing some of your positions to mistakes on your part. That’s a start. Can I assume now that you do accept the key role of interaction with reality and validation of any conclusions against reality? And that this should be a social process open to critique from colleagues? Also that logic/argument alone is worthless without validation? Ropata – there is an unfortunate habit amongst some of the theologically inclined to ignore what critiques say and instead attack the messenger by putting words in their mouths which don’t belong there. Pity – it would have been better for you to engage with the content of my article instead of attacking me personally. 1: Where have I ever denounced “any suggestion that science and religion can actually inform each other in the human quest to understand our world.”? Nowhere – check it out. No, I think religion can learn a lot from science and often it does. It’s had to. There are of course those who are so anti-science they refuse to accept scientific knowledge – creationists for example. I think science is also discovery lots about religion. That knowledge may or may not be pleasing to religionists. As for science learning from religion? No, I don’t think we can. The modern scientific revolution required it to break away from religion and philosophy. To refuse to any longer be the handmaiden of religion. I will concede, for example, that we can learn a lot by studying ancient customs and beliefs – objectively. An example is the collaboration between Tibetan Buddhists and western neuroscientists. The study of ancient ideas on psychology and of meditation. But, in general. No. Scientists must actually protect themselves from attempts of the religiously motivated to intrude into science. The Discovery Institute and the Wedge strategy is a clear example. 2: Limits of science? I have often acknowledged these. Which scientists doesn’t? Come on, names please? However, I challenge attempts by the ideologically motivated to use that acknowledgment to somehow justify their claims that religion has special access to knowledge, especially that which science doesn’t consider. Any such claim should stand on its own merit – not this logical fallacy. I don’t think religion has any special access to knowledge – either on questions of reality or of ethics. But I am prepared to consider any justification you can make for these claims – just leave science out of it as it is irrelevant here. 3: Of course Lemaître was a good scientist and is acknowledged as such. I have good scientist colleagues who are also religious. I don’t anywhere deny that religious people can’t be good scientists. Where do you get crazy ideas like this from, Ropata? Certainly not from me. 4: Far from me carrying out an ideological “crusade” Ropata, I have been defending the integrity of the scientific process from religiously motivate attacks. A “religious crusade,” perhaps? This specific article was written to reply to charges made by Stuart. You will be aware that there are frequent charges being made against science by religionists. From the creationists to the theologians who bable about “scientism” and make unwarranted and vague charges against specific scientists or science in general. You are in the unenvious position of blaming the victim who fights back against the bully. 5: Finally, Ropata – don’t blame science for the fact that it is currently attempting defense against those who in “the name of religion would subvert it (science) beyond all recognition.” Look to the source of that problem. Get stuck into your religious colleagues when they make unwarranted claims about science or attacks on specific scientists. (Ropata, I acknowledge that I have sometimes seen you, personally, do this. Don’t spoil the good record by lining up with them on the content of this article, for example). I am quite happy to ally myself with religious people who are also defending science in this struggle (as I have done on peace and human rights issues). Their religious beliefs are of no concern (and no real interest) to me. I have absolutely no problem in cooperating with religious people when they are not prosletysing. It is sad that you see this article and others I have written as a “beat up on the idea of God in the name of science.” I thought I made clear that the idea of gods don’t interest me and arguments about them was a mug’s game. I didn’t think it was an article about gods, but about the defense of the scientific process. I don’t see Gray as acting a scientist – far from it. he is acting politically. Hitler. No, he was a Christian. Stalin. No, he was a Christian too. Pol Pot. No, he had something like a religion. The Founding Fathers. No, they were deists not Christians. And on and on goes the list. I recommend renaming the tactic “the sleazy revision tactic.” That is, when someone finds some point of datum which disagrees with their preconceived ideas, they simply re-categorize the item to conveniently make the cognitive dissonance disappear — regardless if the re-categorization is accurate or not. The modern scientific revolution required it to break away from religion and philosophy. Ah, you’re one of those. You know, one of those who rejects both religion and philosophy because the tread on your precious ideas. That explains the lack of substance. TheCraftMan – I am afraid I don’t understand your points. What about repeating them without the sarcasm so I can understand and so we can discuss them? I will be the first to recognize that my article above was not outstandingly clear, and has its mistakes in it. Don’t be so hard on yourself Stuart. You article was just as outstandingly clear as all the rest of your articles. In fact, it’s safe to say that there’s no theological article anywhere by anybody that is clearer than yours. Oh and how old do you think the Earth is? Any chance of a clear, straightforward answer on that today? Nah. I’m not interested. I’m already bored, so I can’t be bothered to put anymore effort into a discussion here. Not a serious punter then? I will (perhaps) answer your questions in week or two when I have the time. In the mean time, can you tell me what you mean when you use the term “reality.” I know what I mean when I use the term, but I want to make sure we are talking about the same thing. Yeah I made a typo, which may have effected Ken’s reading of my text. I also wasn’t abundantly clear as to how I went about constructing my arguments in a clear and concise manner so a 12 year old can understand it. These were my mistakes. The far more grievous errors were Ken’s as I pointed out in the comments there. One such error was thinking my article was theological in nature. This you would have understood if you’d bothered to read my article, and not just swallow what Ken had to say about it. What does the age of the earth have to do with anything? – don’t answer that I need to get some work done. What was the purpose then, Stuart, if not theological? Irrespective, it is the sort of theological argument I keep coming across attempting to denigrate the value of evidence and validation. The motives for that are clear – if you are selling something ucnonnected with reality the less contact with reality the better for the sales pitch. Better to hide reality behind weasel words – typically theological. Unfortunately that is the direction of fantasy and anti-science and needs to be challenged. We should not stand by and let people get away with this sort of thing just because some people think it disrespectful to challenge it. So I welcome the chance of discussing this further. If you think I am making errors please present the detail and argument. Simply stating that I made errors is a bit disingenuous. Every time I ask it and you avoid it…it pleases me. It us amusing how these people hum and ha when asked such questions. They are so dogmaticly sure of things for which there is no evidence but won’t commit on things for which there is overwhelming evidence. When pushed they might finally admit they don’t accept the science – but they are clearly ashamed of it. I sometimes wonder if their problem is peer pressure. Their fellow religionists force acceptance of an anti-science myth within the privacy of their church. The painting of fantasy landscapes is wonderfully therapeutic. That’s nice to hear. Is your therapist working with you with crayons or just fingerpainting? I just now joined openparachute.wordpress.com. I’m intending to look round just a little and connect with fascinating men and women and learn a few facts. I am hoping this didn’t end up in the wrong place. Forgive me if it does.